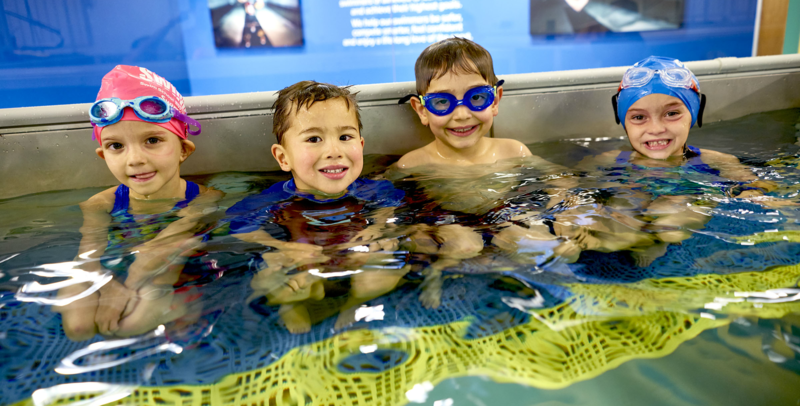 Learn-to-Swim lessons are adult lessons or child lessons for swimmers whose goals are to learn pool safety and eventually become proficient in all four strokes. Swimmers of all types of special needs (Autism, Down Syndrome, Cerebral Palsy, Sensory Integration, Motor Development, etc.) can participate in Learn-to-Swim lessons. At SwimLabs, we have taken the time to thoughtfully organize our progression in a way that lends itself to success for all students. The steps are broken down into small steps that all build on one another to allow the student to feel successful rather than frustrated. The purpose of Therapy lessons is to stretch muscles, improve motor skills, develop and maintain physical control, alleviate tension, improve cardiovascular condition, improve muscle tone, promote relaxation, and allow the swimmer to feel stimulation. Feeling the water on the skin stimulates neurological responses and improves brain activity. 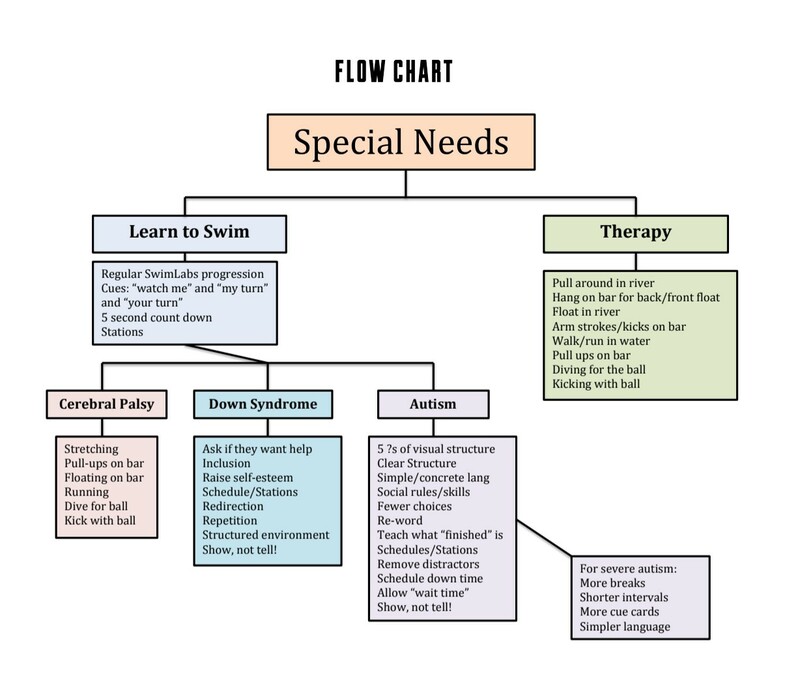 Therapy lessons will primarily be used for swimmers with muscular disorders.